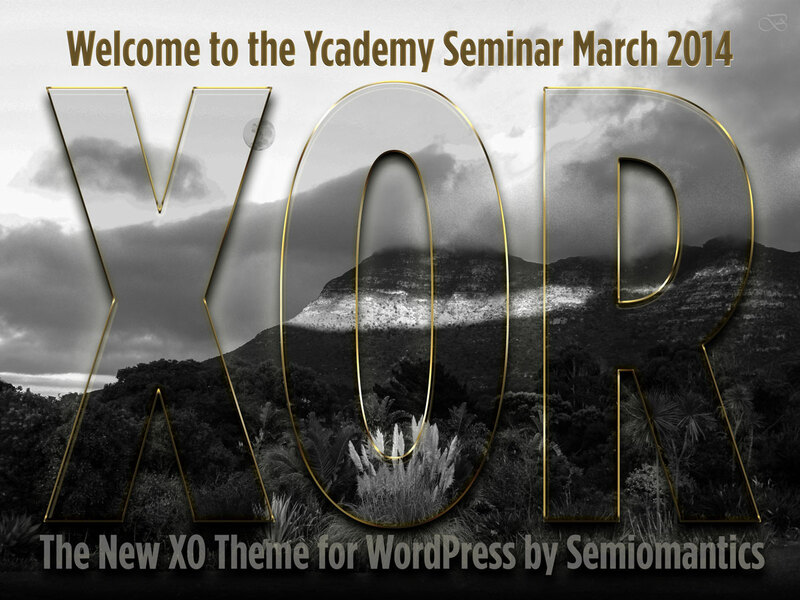 XOR – the new XO Theme for WordPress by Semiomantics was released at this month’s Ycademy Seminar, which is currently running. A new approach was necessary due to WordPress developments over the past year, with a strong emphasis on the highly responsive Gridiculous Boilerplate based scripts. For the duration of the seminar now, it’s a matter of understanding the new responsive and media-oriented script and getting the settings right first, before venturing into design details and finesse. I’m relieved that we can retain the sliders – and with an advantage: instead of having to load it via a heavy editor, now a simple line of code does the trick! Brilliant! A new CSS Editor is integrated as well; the difference in features to be demystified soon… meaning today to be exact :). Interesting also the way sections can be styled differently – if that is required or wanted by a customer. Personally, I always kept this part rather simple yet elegant, with one column with text and the focus on a picture – which is ideal for the mobile web. But for those who want to add advertising for marketing purposes or have products to offer and to sell, this theme offers all the necessary hooks. Most importantly, this WordPress based theme was also developed with YORGOO in mind and it’s the ideal upgrade for anyone using the good old XO… which is reliably running for a good three years. Here’s to an exciting new day – at the Seminar!